What can I say but wow! If you’ve never seen Hallowe’en in North America you’re in for a pleasant surprise! It’s really taken seriously here. La Prairie in suburban Montréal organises a Hallowe’en party in it’s 340 year old historical centre. Amongst the old buildings a haunted graveyard was set up, one of the municipal buildings became an asylum for demented demons, locals stood on their porches giving out candies, sweets drinks to the children. There was even a live band playing music. 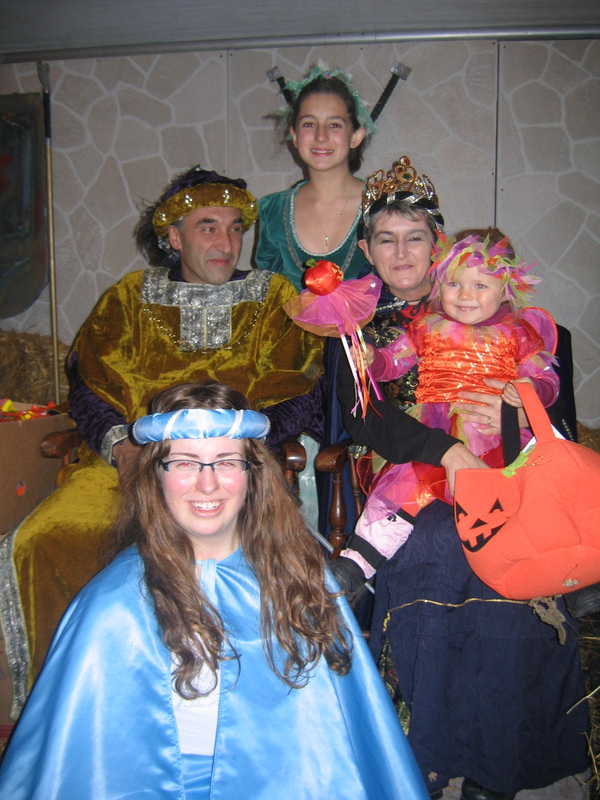 Adults and kids were all dressed up in Hallowe’en and other costumes. The atmosphere was great, everyone was enjoying the fun. Children were collecting their treats and examining the costumes of others. Contrary to Europe, there was no alcohol served which really gave the place a nice family friendly atmosphere that really surprised me too. Congratulations and thanks to everyone at La Prairie for organising such a super evening. We’ll definitely be back next year. In the residential streets in Montréal, many houses are extensively decorated with Hallowe’en‘s key characters. Front lawns become graveyards, giant spiders spin their webs, and hords of children roam the streets ready to trick you if you don’t give them a treat! Actually I can’t imagine any of the very polite kids I gave sweets to wanting to play a trick. Enjoy Hallowe’en North American style! 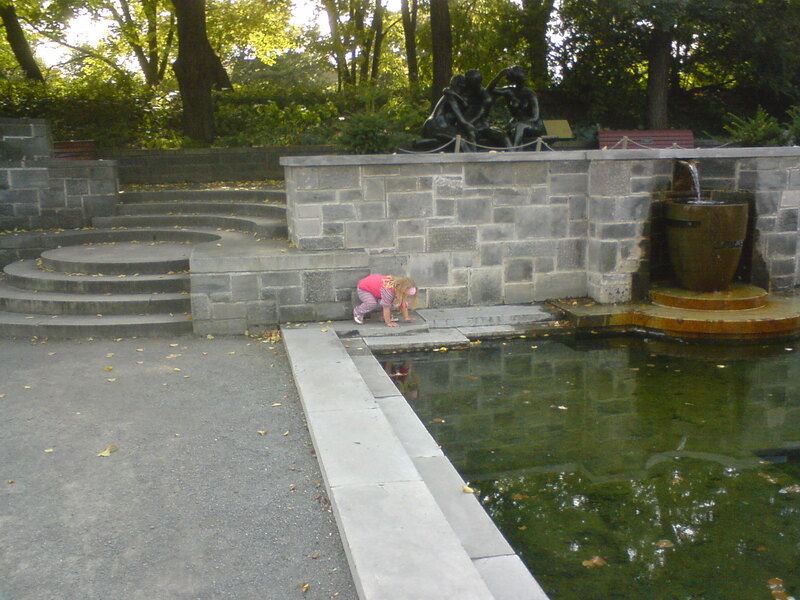 Montréal’s Botanical Garden is one of the largest in the world and is well worth the visit. Situated in the Hochelga-Maisoneuve district it is just next to the Olympic park. The gardens are vast – you can spend all day if you take the care to really look at everything that there is on offer. They are split into smallish sections with different themes. For example there are common vegetables, a rose garden, an Alpine garden and most notably the Chinese and Japanese gardens. These latter two really do transport you though their smell and atmosphere across the Pacific ocean. The Japanese garden is very calming with soothing curves and gentile water lapping across rocks. There is also the Japanese pavilion with expositions of Japanese art (pottery when we visited). The Chinese garden is altogether different in that it’s a completely different style, very lively and colourful. From mid-September until the end of October there is a festival of lights called the “Magic of Lanterns” that adds even more colour to this garden. In the Chinese pavilion there was an exposition dedicated to the soya bean. As the gardens are so big, there is a small red train which will take you on a tour around the jardins where you can hop on and off at the major attractions. It runs about every 20 minutes and was very popular when we visited in September. It’s probably even more so in the high of the summer tourist season, but the ride is to be recommended. The restaurant of the gardens has two very agreable terasses to sit on and have a coffee. Overall the cleanliness and the high level of maintenance of the gardens must be applauded. They really are a must-visit destination when you come to Montréal. It’s worth noting too that the car park is quite expensive at $5 an hour or $10 for the whole day. You can arrive by métro and alight at Pie-IX metro station.